What’s for sale on Miami Beach’s Lincoln Road? Amid heightened demand for properties along Miami Beach’s Lincoln Road, The Real Deal took a look at what’s on the market. The answer? Very little, officially. But insiders know differently. In September, billionaire Amancio Ortega paid $370 million for the city block anchored by newly built stores for Gap, Intermix, Athleta, Apple and the future location for Nike. Per square foot, the sale broke down to $4,933. A partnership led by Michael Comras and Jonathan Fryd sold the properties. And earlier this year, Aldo Group paid $35 million or $6,560 per square foot for the building at 635 Lincoln Road. Before that, Rockpoint Group paid $30 million or $1,219 per square foot for 312 Lincoln Road. The seller paid $555,000 for the building in 1989. Potential buyers, which include foreign and domestic equity investors, are going after every product regardless of availability, he told TRD. And improvements for the popular promenade are coming: In October, the Miami Beach commission approved a Lincoln Road Business Improvement District run by business and property owners, as well as a master plan for the street, designed by New York-based James Corner Field Operations. The latter will widen sidewalks, add extensive landscaping, and turn some side streets and back alleys into pedestrian walkways that will serve as new retail and restaurant venues. Development has also spilled over to Lincoln Lane, where Terranova Corp., a large property owner in Miami Beach, is building two new three-story buildings off of Meridian Avenue. 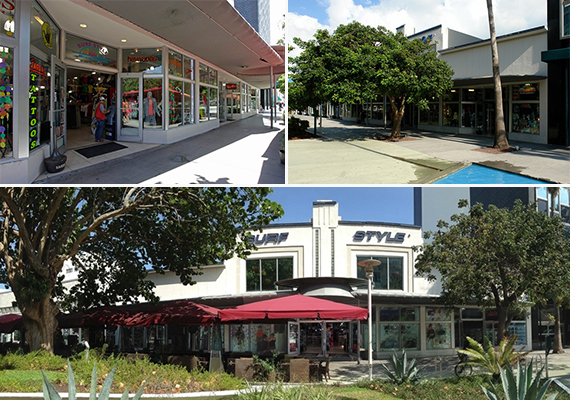 The new sites, at 723 Lincoln Lane and 801 Lincoln Road, are geared to expand the Lincoln Road shopping district from the pedestrian promenade to 17th Street. In November, Lincoln Road ranked as the 10th most expensive retail street in the United States, according to a Cushman & Wakefield research report. Drew Kristol, vice president of investments and senior director of Marcus & Millichap’s national retail group, said rents on Lincoln Road range anywhere from $200 per square foot to $325 per square foot. About two years ago, the popular Van Dyke Cafe was replaced by Lululemon, a high-end athletic apparel store. Other tenants that have moved in this cycle include H&M, Anthropologie, Intermix, Forever 21, Apple, Gap and Urban Outfitters. Also in 2014, Graziano Sbroggio’s Graspa Group closed TiramesU at 721 Lincoln Road after 17 years. Graspa relaunched the concept in the South-of-Fifth neighborhood late last year. “A lot of investors are seeing a pushback from tenants,” Kristol told TRD. Ines Hegedus-Garcia of RelatedISG International Realty is listing the rooftop “skydeck,” suite 800 and suite 270. The commercial units are on the market for $3 million and total more than 8,000 square feet. The property, owned by Upper Deck LLC, opens up to a 3,700-square-foot terrace. Units 303 and 405 are on the market for $987,000 and $595,000, respectively. A loopnet listing shows Susan Gale of ONE Sotheby’s International Realty as the listing agent. Unit 303 is a 2,167-square-foot commercial condo on the third floor. Unit 405 is a 1,000-square-foot office condo on the fourth floor. The Comras Company is listing the retail building currently leased to Surf Style. Based on the sale of 1001-1035 Lincoln Road, the property, which has 10,042 square feet on the ground floor and an additional 3,294 square feet on the mezzanine level, could sell for more than $65 million, or as much as $80 million – calculated on the land alone. The 40-unit bulk condo hit the market in November without a listing price. Lincoln West Gardens is in a residential area of Lincoln Road, one block west of the retail district that starts at 1111 Lincoln Road. Avison Young’s Michael Fay and John Crotty are the exclusive listing agents. According to CoStar, the two-story, 8,527-square-foot property offers 50 feet of frontage on Lincoln Road and 100 feet of frontage on Lincoln Lane. It was built in 1933 and renovated in 1995. The building does not have an asking price.